From the CD available at St. Vladimir's Seminary Press, here is part two of Fr. Tom Hopko speaking on The Word of the Cross. On that cross, God died. God in his own humanity, died. And he experienced abandonment by his Father, being the Divine Son – and the abandonment was real, because he totally identified with us. In his love for us he became exactly what we are: cursed, sinful, and dead. Not being a curse, not being a sinner, and even not being capable of dying in his divinity. But he died. That’s the mystery. That’s the mind-blowing, mind-boggling mystery: that he died for us. And when he dies, the experience of the wages of sin and evil and darkness and the devil — which is death — he experiences to the boundless, immeasurable parameters that don’t even exist of divinity. And therefore we cannot even begin to imagine or to compare with what happened in— on that day. But he tells us that it not only happened once for all in the final victory, but we now can participate in that victory too: if we love with the love which he loved us; if we face the evil the way he faced it; if we admit it as he admitted it; if we take it upon ourself as he took it; if we forgive and have mercy and trust in the grace no matter how abandoned we feel by God — and we have to feel it to the end, if we’re going to be really a mature lover. That’s why the Cross and the dark night is all a part of our life. It’s not just cheery, rosey, ha-ha, God smiles, love you, you know- smiley-face-on-a-bumper or something, smiley sticker, “God is love”. It’s not a smiley face on a bumper sticker that shows that God is love, it’s Christ crucified that shows that God is love. And then- and when we enter into Him, when our body gets broken and our blood is shed, in love with Him, then we destroy and co-redeem the world in him. Because we’re called to be co-redeemers in him, co-sanctifiers in him, by the power that he gives us, which is the power of the cross. Now all of this has to take place in our life. If it doesn’t [take] place in our life, we are still dead. If it doesn’t take place in our life, we are not human yet: we are still subhuman. See, because we’re made in the image and likeness of love and this is the way it’s done. Now, what I plan to do is to try to describe at least, or to apply specifically, how that actually gets done in our life. See, what are the conditions of our life that make a co-crucifixion and a co-redemption with Christ possible? How do we destroy the devil? How do we overcome death? How do we become victorious? How do we get risen unto everlasting life, by being co-crucified with him? How do we do it in our day-to-day existence? What is necessary to do it? How does it work? This is what I’d like to talk about this afternoon. One of the crosses that we bear is in fact physical suffering. I mean, there’s no doubt about it. If the Cross is the real criterion of the evaluation of our life in this world, then it is absolutely mind-blowing that after 2,000 years of Christianity, people still have trouble with physical or mental or emotional suffering — as if it’s something alien to our life on this earth. Let me show my sinfulness here: it really bothers me, at this point in my life (I turned 50 last week) when you still hear people saying, “God is good? I went to church, I prayed, I joined St. Vladimir’s foundation, and I went and skied and broke my leg.” You know, “Where is God?” you know. Of course, skiing and breaking one’s leg you could probably put up with and say “Well,” but suppose it’s cancer, like Mrs. Allen and Mrs. Ziadic. Suppose it’s a baby born with 12 kinks in its intestines like little Ruth. And people say “Where is God?” Well, if you read Matthew, Mark and Luke, I challenge you to find one sentence where God says, “I exist so that people would not get cancer and die.” Or “I exist so that babies wouldn’t be born retarded or crippled.” You can’t find one word of that in the Gospel. Jesus never promised earthly health. He never promised endless happy life in this world. He certainly never said that if you’re healthy and wealthy until 90 and die on a golf course in Florida, God has blessed you. Never said that. Just the opposite: the Bible is filled with the question, “Why do evil people not get sick, and live to 90 and conk off?” You know, where here who are good, you know, die early? We have in the back on the wall Saint Panteleimon. He’s one of the great healers in Christian history, a physician, a doctor. He died at 29! Now Jesus healed people, even bodies, let alone souls. And by the way it’s a clear teaching of our church tradition: everyone’s soul can be healed on this earth, but it takes death and resurrection for the body to be joined to it. Saint Macarius of Egypt says we can be resurrected spiritually before we die, and we even must be, because if we are not resurrected spiritually before we die, we never get resurrected to glory after. We’ll be resurrected to condemnation after. But the body has to suffer right through. The body has to be broken, the blood has to be shed. But you can’t touch the soul if it’s with God. That’s the whole point of Christ, too. Now it seems to me, that’s the Christian worldview. That’s the Word of the cross. We’re not scared or scandalized by suffering. Because we know suffering comes from our sin and not from God. Suffering comes because of our evil and not God. God does not cause suffering, God does not cause death. But he allows it. Why does he allow it? He doesn’t have another alternative! He deals with what he’s got, and what he’s got is us! Who torture each other every day, and bring all kinds of evil and rot into the world, and sickness and death. It’s not his fault; it’s our fault. That’s the meaning of the Adam and Eve story: God knew that it would happen even before he created us. God didn’t create Adam and Eve and tell them, “Now, be good and I’ll love you,” and then they sinned and he said “Ah! What happened?” God knew that it would happen. He knew before made us; he knew before we were created that we would suffer all this stuff. He knew that it would be boundless suffering, and all he could do was come in and suffer even more boundlessly in his divinity to expiate it and to bring the Kingdom. And the Word of the Cross tells us that our vision (to use big theological language) is radically eschatological: there is no justice in this world. There is no possibility of a painless, deathless life in this world. But there is the possibility by God’s power not to let it win. You see? Not to let it win. And to say “no” to it to the end — out of love for God — and then the very power of this death and evil and sin is broken. And then for the great saints to even suffer with him was the greatest joy. It became the greatest joy. Now that doesn’t mean that we consecrate suffering. We do not deify or idolize suffering. Suffering is alien. Suffering is no good. And it is not Christian to say, “Suffering is really good! Death is really good! Death is the last stage of life. Death is where we, you know, our soul goes out of our body and we see light or something.” That’s not the Christian view. In fact, I would even go so far as to say the Kübler-Ross model, the resignation to death, the acceptance of death, is not the final stage of our growth. We have to accept the fact that we die, yes. But we never accept death. You see? And we fight against it to our last breath. That’s why we are against euthanasia. That’s why we are against abortion. That’s why we are against anything that would rob us of our chance to be victorious over the devil. Another story popped into my mind which I can’t resist saying (you know I like stories): Once I was in Greece and there was a meeting of theologians. All the professors from the theological school, you see, were there debating, debating everything, you know, answering all the questions and everything and so on. Clearly. And then they were discussing you know, why the trouble of the Church, this and that and this, and how bad it is, and so on, and the Greek government and this and I don’t know what, it’s so bad, it’s so bad. Then it came time for the word of Father Vasileios of Stavronikita, the abbot of the monastery of Mount Athos Stavronikita. And this was about oh, 10 years ago? More, ‘74 I think it was. About 15 years ago, and he was real young, I bet he was only about 39 years old, maybe, then. 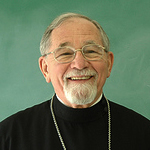 He’s the one who wrote the book “Hymn of Entry.” Have you read the book, the Saint Vladimir’s Seminary Press, $6.95? [Laughter]. Anyway, this Vasileios gets up there, this monk, you see, gets up there, and it was the most, one of the most amazing things I ever heard in my life. It almost rivaled Mother Theresa, almost. (It certainly didn’t, but almost.) He said, he got up there, he said, “Yes, things are bad, and the world is bad, and there’s materialism and secularism and atheism,” and this and that, you know. He said, “But, let us rejoice! Let us have hope!” You know? And I was thinking he was going to say, “Christ is risen!” But he didn’t! He said, “Let us have joy! Let us have hope! Because they can take everything from us. But they cannot rob us of our death.” He says, “They cannot rob us of our death.” He says, “In fact, they may even help us to glorify God!” And then he got into the Word of the cross. That no one can rob us of our death. And therefore, the ultimate absolute most perfect way of glorifying God, no one can take from us. Maybe no one comes to Sunday school. Maybe — I don’t know why — no one comes to the liturgy. Maybe half the people are interested in stuffed cabbages and not Jesus? Who knows why? It causes us agony and so on. But we should rejoice! Why? We can still suffer and die. And if we suffer and die we will do more than anything else that we can do with our blah-blah here today. And if we don’t do it, then our talk is worse than vain babbling. It’s unto condemnation and judgment. So this monk said, “We can glorify. We can redeem the world. No one can take from us our means of doing that. They can close churches, they can declare atheistic regimes, they can teach our children any garbage and crap, and so on. But as long as we are able to suffer and die, we can glorify God.” And that’s the Word of the cross. And that’s why I think we Christians had better start getting psyched in that direction, you see, and stop thinking of God as the one who blesses us and gives us cars, and makes our color TV work, and all this kinda stuff. I mean, it’s not the God of Abraham, Isaac, and Jacob who does that. It’s not the God who sends his Son to hang on a Cross who does that. You know? And I like to quote — some of you have heard me quote this before — H. Richard Niebuhr, a protestant, who said: “For us American Christians,” (he said this in the 1930s, so I don’t know what he would say now), but he said in the 1930s that, “for most of us, we have a God without wrath, bringing man without sin, into a Kingdom with no judgment, by Christ without a cross.” And you just go to church to make things ‘better.’ To ‘feel good.’ You know, we don’t want to hear about sin, we don’t want to hear about death, we don’t want to hear about bodies broken, we don’t want to hear about repentance, we don’t want to hear about suffering. We want to go and hear how nice God is, and how he takes care of us, and if we go to church, our business will be nice, and so on. But that is a lie. It’s a lie. We can’t do that, it’s not true, you see? It’s not true. It’s not the way God works, you see? The cross is the way God works. This is not morbidity. This is not gloom. This is the only way to joy! This is the only way to peace! This is the only way to real happiness! If people are really miserable, unhappy, don’t know what to do, we should tell them: “Pick up your cross! You’ll be happy! Because at least you’ll be in reality. You’re sick? Offer it to God. Be victorious! Use the Holy Spirit!” Now I admit, if you’re standing by the bed, fat and rosy, you can’t just glibly say this. And that’s why probably Mother Theresa had even the right to say it, because she was with the people. But on the other hand, she even said herself, “I stand by the bed because I’m not worthy.” And I think even if we had that attitude, too, that could help us a lot to approach things in a realistic way that could finally bring us what we’re looking for: identity, fulfillment, and so on. Americans don’t know who they are. They want to be fulfilled, they want to know why they live. And the answer is, “For God, who is love.” And that answer means the cross. If we followed Mother Theresa’s teaching, we not only are supposed to give bread, we are supposed to become ourself bread. I heard a tape that she talked to her novices, and she said, “If you’re here cause you want to help people, you want to be a do-gooder, you want to feel good about your life — don’t come, we’re not here for that. If you’re here for social improvement, or recreating the planet — don’t come here, we’re not for that. We’re here for one thing: to show the love of God in Christ to people, in the way Christ did. Period.” And then she went on to say, “And therefore, if your greatest joy is not to be like Jesus, the bread of life, who is everyday broken and distributed to feed the others with the bread of life, don’t come here.” And then she went on to say, “If we are to be what Christ is, and Christ is the bread of life whose body is broken and blood spilled for the food of the faithful, that’s what we must become ourself.” And it’s interesting in our Holy Liturgy, when we invoke the Holy Spirit on the bread and the wine, we invoke the Holy Spirit first on ourself. We say, “Send down Thy Holy Spirit upon us and upon these gifts, and show them to be the bread and the body and the blood of Christ.” We become the body and blood of Christ by the Holy Spirit’s power when we commune to Christ. And therefore we must be distributed to feed the people, living bread for the people. And, by the way, here you have a wonderful sermon of Saint Augustine, and a very similar one I found in Saint Symeon the New Theologian (in the 11th century, Augustine in the 5th century), where he said this: “Christ — the Logos, the Divine Son of God — is the one by whom, through whom all things were made; he’s the one [in] whose image we are all made; he’s the one in whom everything holds together.” And then he said, “But he’s the one who emptied himself and came upon the earth.” And then he picks up the Matthew 25 parable of the Last Judgment, and he says, “Jesus is the bread of life. But he comes on the world, and he said, ‘I hunger.’ So that hungering with those who hunger, he could feed them with the bread of life through his hungering.” Then he said, “Jesus is the one who hangs the earth upon the waters, who sends the waters upon the earth to bring fruit; who sends the living water into the hearts of the disciples. But he comes on the earth, emptying himself, hanging on the cross, and he says, ‘I thirst.’ And by his thirsting, he satisfies every thirsting person with the water of life that flows from his side from the tree of the cross. So by thirsting, he becomes the water of life.” Then he said, “Everything belongs to him, and he comes on the earth and is alienated, ‘I had no home,’ he said, ‘Birds have nests, foxes have dens, the Son of Man has no place to lay his head.’ And so he comes into the world, rejected by the world, outside the walls of Jerusalem, hanging on the cross, so that by his rejection, we could all be taken home again, and overcome all alienation in communion with God, and living in a house with many mansions forever and ever with God. So by his alienation and estrangement, he takes us home.” And then he said, “He’s the one who clothes the world with light as with a garment. He’s the one who feeds every living thing,” and so on. And he says, “He who clothes the world with light as with a garment, who clothes us with the robe of salvation, how does he do it? He does it by coming on the earth and being naked. Naked in the Bethlehem cave. Naked in the Jordan River. Naked hanging upon the cross. Naked in the tomb. That by his nakedness we could be clothed with divinity.” And everyone baptized in Christ clothes themselves with Christ, and then he becomes himself the robe of salvation. But he only does it by being naked first. And then he says, of course, “He is the one who heals everyone. But how does he heal? By being wounded. By his wounds we are healed. His wounds become our wounds. Our wounds are connected to his wounds, and that’s the way we get healed. And then ultimately, he’s life itself, and how does he give life to the world? By dying. And through his death, life comes.” So if you take that parable, “I was hungry, I was thirsty, I was naked, I was in prison,” and he was in prison, he was arrested to set us free, he undergoes all of that. That’s why he can say, “If you did it to the least, you have done it to me.” Because he is everyone. And that’s the only way we prove our love for God: by how we prove our love for each other. And that means mercy, forgiveness, identity, bearing the burden of the brother — which, by the way, Thomas Merton also said, “It’s the only burden you can bear with joy.” And the burden that crushes you is your own ego. The minute you give up yourself and bear the burden of the other, it’s light. When bear yourself as a burden, you can’t do it. So this is what he does, and that’s what we have to do. We must always, always, always, always remember: we really don’t know what’s going on in people’s lives and people’s souls. Our task is just to love them, to forgive them, to show the truth to them, to embrace them, to identify with them, to be one with them. No to judge them, not to condemn them, not to be mean to them, not to gloat over their evil. That’s what we have to work on in our own life. And if that happens, we have done everything we can do and God will find ways to bring good out of it if he can. And that’s where we trust God! That’s where we have hope. See? Hope. Now hope is not an expectation of an agenda that we have set up ahead of time. “I will convert my daughter by 1992. And I expect God will do this because he said, ‘Whatever you ask…’,” and so on. No! No. We hope. We trust God. We trust not only what he will do, but that he will know how to do it. That we don’t. We can want even to convert other people because we want them to live the way we want them to live. We want them to do what we want. And very often there’s even other interests. And that’s especially true with parents and children, you know. We want our kids to be bright, beautiful, and go to church because What will other people say? You know, that’s what really interests us. What other people will say! We don’t even care about God or their salvation! And one of the proofs of that is how much we overlook when no one knows. You know? Because as long as you’re not bringing some kind of embarrassment to the family, well, it’s okay. You can always tell impurity sneaks in there. I think that’s the narrow path, and I think the best thing is just to pray to God, don’t analyze too much, beg God to get rid of all ego and impurity, and just beg God to give total identification with the other for their sake. And break down that barrier between, and get out all that’s impure in there. And then trust God that if we do that, even pragmatically, that’s the only thing we can do! That’s the only thing we can do. Heal ourself, and then we can serve for the healing of others. If we don’t, no matter what we say or do, it’s not going to help. In fact, it’s going to hurt. It’s going to hurt. And that’s why, I think, a lot of people are really put off by Christians: because they feel the impurity of our approach to them. That we’re out to get them. We want more bodies in our parish or something. We want them to live the way we want them to live, and so on. And they don’t feel the peace and the joy and the real identity with them that real love should have. You see? We’re condemning them somehow. Or manipulating them somehow. And they feel it. So, be careful.